The first week of February showed once again why the EU needs to reconsider the voting rules on certain areas of its foreign policy decision-making. Failure to counter the slowness and inconsistency of EU diplomacy continues to erode Europe’s status as a defender of human rights and rules-based multilateralism on the international stage. Qualified majority voting (QMV) cannot be introduced soon enough. “There is a common European Union position on Venezuela and we have expressed it very clearly and together – all the 28.” Speaking at a press conference following the 5th EU – League of Arab States (LAS) ministerial meeting on Monday (04 February), The EU’s High Representative Federica Mogherini sounded all but convincing when asked about the EU’s common stance on the acute crisis in the South American country. Ms Mogherini called the position “very clear”, saying that the EU recognises the legitimacy of both the Venezuelan National Assembly and its President Juan Guaidó. She also pointed to the targeted sanctions the member states placed on Venezuela in November 2017 and extended for another year in November 2018. That same day, however, Italy blocked the EU’s joint statement on Venezuela. The rejected proposal called for individual EU members to acknowledge Mr Guaidó as the interim President of Venezuela – a proposition that strongly divides the national capitals. Although calling for free and fair democratic elections in Venezuela to give its citizens the opportunity to choose their president unites the EU, many member states have been sceptical about recognising Mr Guaidó’s claim. Only ten of the EU28, including France, Germany, Spain, and the UK, have recognised the leader of the National Assembly as President ad interim, while members such as Belgium, Finland, Ireland, and Sweden have only issued messages of support without official recognition. Even where the member states share a common view, they struggle to agree on the means, as the EU failed to unite behind the deadline set for President Nicolás Maduro to call early elections. The same problem was also apparent during the Council negotiations to issue restrictive measures on Venezuela in the first place, as the sanctions were delayed for months due to internal disagreements. Maduro’s key allies – China, Russia, Turkey, and Iran – certainly do not mind. The diplomatic inconsistency has been an easy opportunity for Russia in particular to undermine the EU’s international credibility and motives in setting up the International Contact Group to deal with the crisis. “We would like to understand as soon as possible who is talking and about what,” said the Russian Foreign Minister Sergey Lavrov as he questioned the EU’s ability to lead a group intended to mediate the situation in Venezuela. Inconsistent messaging from the EU’s part continues to harm its efforts in international crisis management. Venezuela is hardly a standalone case. On this Monday alone, Cyprus blocked a joint EU statement on the breakdown of the Intermediate-range Nuclear Forces (INF) Treaty between the United States and Russia because of the statement’s wording on Russia, while Hungary and Poland rejected the proposed joint conclusions of the upcoming EU–LAS summit due to a dispute over migration. In the past, achieving unanimity to publicly even condemn China’s human rights violations has been notoriously difficult for the EU, which has understandably weakened the EU’s credentials as a global human rights defender and leading liberal power. In June 2017, for example, Greece’s opposition meant the EU could not issue a common position criticising the use of capital punishment and crackdown of free speech in China at the United Nations Human Rights Council in Geneva. This marked the first time the EU failed to make a joint statement at the UN’s human rights body. And where joint action has not been completely blocked, European diplomatic efforts have often been delayed by individual members with specific grievances or interests. 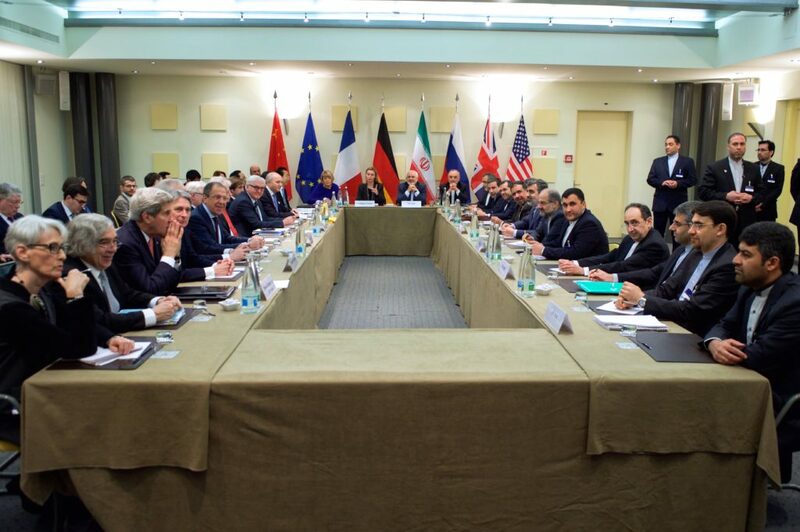 For instance, as the EU’s E3 team – France, Germany, and the UK – involved in the Iran nuclear deal negotiations alongside the European External Actions Service (EEAS) was expanded to include Italy as E4 after the US pulled out of the agreement, Spain’s disappointment on being left out resulted in the member state delaying the high-priority Council conclusions on Iran this January. Furthermore, ahead of the EU’s deadline to extend its arms embargo on Belarus by the end of February, Hungary is yet again threatening to topple the long-standing measures if the EU does not speed up the adoption of the so-called Belarus Partnership Priorities. The final signing of the partnership document is, however, currently being delayed by Lithuania’s insistence on added safeguards regarding a Russian-financed nuclear power plant in Belarus. Thus, as things currently stand, the EU does not need revisionist powers pointing fingers at the inconsistencies and slowness of its external action – Europe is perfectly capable of undermining its own credibility. The examples are numerous. In his 2018 State of the European Union speech, the Commission President Jean-Claude Juncker suggested that the EU member states adopt QMV in the Council on human rights issues, sanctions, and EU civilian missions. According to the rules set out in the EU treaties, QMV requires a proposal to be supported by 55% of the member states representing 65% of the Union’s population in order to pass. The Commission’s proposal smartly omits military missions and defence cooperation, where EU joint action has often taken place through ad hoc, informal coalitions of the willing, and leaves them within the realm of unanimity voting. As a concession to member state concerns, the Juncker plan also included an “emergency brake” that individual states could use to block proposals they see has harmful to their national interests. Yet, Council voting rules can only be amended by a unanimous decision – and there are many smaller member states which are less enthusiastic about the introduction of QMV in EU foreign policy. For smaller member states in particular, unanimity in EU decision-making represents a powerful tool for asserting their interests and increasing their negotiation position. Under the Commission’s proposal, however, these national interests should be adequately protected under the quasi-veto provided by the aforementioned emergency brake system. For states preferring more intergovernmental approach to EU decision-making, on the other hand, consensus voting is a means to ensure that EU security and defence cooperation does not undermine their vision of national sovereignty, for example. Some member states have also rushed to point out that if the aim of the voting rule change is to achieve Europe that speaks together as “one voice” on the global stage, then why is the current system requiring complete unity not enough. After all, the Council continues to take a majority of its decision by consensus even in policy areas that do not require unanimity. Others fear a slippery slope towards QMV being used in common defence policy and military operations in the future. But these objections fail to see the urgency of improving the EU’s response capabilities. In the global geopolitical landscape that is increasingly dominated by unpredictability and multipolar power politics, where the EU faces an unpredictable administration in the West, a refugee crisis in the South, and a competition over influence by Russia and China in the East, the EU has no choice but to become more decisive. The unyielding unanimity rule, rigid institutional structures, and unclear leadership have more often than not resulted in inconsistent positions and slow responses to crises, eroding the EU’s status as a voice for rules-based multilateralism, human rights, and liberal values in the process. If the EU means to gain respect from global powers and increase its credibility as an equal actor, then it must address the looming capability–expectations gap head-on. To this end, it needs to become more adaptive to changing political circumstances and more effective in responding to external crises. This can most easily be achieved through simplified decision-making on foreign policy sectors the EU is already prioritising, such as human rights and sanctions. These areas are also less contentious and do not require member states to contribute as many resources as EU military cooperation, which should make it easier to gain the losers’ consent. The member states will have a crucial decision to make at the informal Sibiu Summit on the future of Europe in Romania on 9 May. Held six weeks after Brexit and three weeks before the European Parliament Elections, the Commission is hoping to receive a decision from the heads of national governments on streamlining the EU’s external action this Europe Day. If the member states are serious about challenging the EU’s international image as an inconsistent and slow actor, then they must prioritise effective decision-making over diplomacy plagued by petty internal disputes.